When you buy a home in a Jensen community, you are not only getting a fine home and beautifully landscaped home site but a neighborhood and lifestyle as well. With others who are retired or on their way to retirement, you will find similar interests and appreciations that changed over the years in the old neighborhood. People look after each other again. Someone is always around to take in your mail, paper or trashcans if you are gone for the day or on an extended trip. Need a ride to pick up your car? Call Al or Mary down the street and they will be glad to help. That’s what makes a community a real neighborhood. It doesn’t take long to make connections. You will find friends of friends, acquaintances of family members, former work mates, guys in the same lodge, and the waitress you’ve seen at the coffee shop for years. If you enjoy crafts, golf, biking or model railroads? So do they! We had two old WW II buddies unknowingly move next door to each other. They hadn’t seen each other for over 40 years and had a lot of catching up to do! We don’t have to tell you what a small world it is and how enjoyable it can be to reconnect. And it’s not only the grandkids that are doing it on Facebook. While each Jensen community has differing levels of activities, it is up to each individual to decide to get involved in the social life and to what degree. 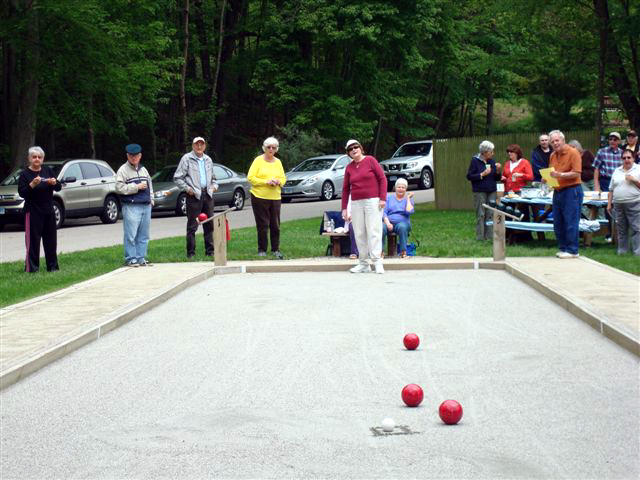 As we move from work to retirement, we see folks move from remaining very active in the greater community to becoming more active in our clubs and clubhouses. Many stay active with organizations, clubs, groups, churches, schools, leagues for years and enjoy it because others do too. A move close to home let’s you keep enjoying the things you like to do (without time needed for home and yard work). If you are considering a move to a new state, a community Clubhouse helps to promote camaraderie between neighbors. It gives you ways to get connected and enjoy each other as well as common hobbies and interests. Take a group trip to a show or the shore for a scenic dinner. Enjoy breakfast or lunch with just the girls since the guys are off golfing. We invite you to learn more about what goes on in a Jensen community and who you just might find living here! Get out on the water this summer and paddle away! Think about heading out to the Farmington River in Collinsville, CT or the many inlets along the east coast to enjoy a day of kayaking fun. 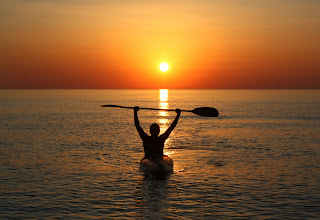 If you are not already an avid paddler, it will completely convinced you that this is the perfect activity to rejuvenate the mind and spirit, and stay active this summer! #1: Anyone can do it! The best part is, you don’ have to be a super-athlete to enjoy kayaking. Just hop in and go at your own pace, and enjoy the graceful movement of cruising over the smooth water beneath an afternoon of sunshine. #2: It’s a low risk activity! The forward paddling stoke that’s required in kayaking is low impact/low risk, so especially if you’re paddling over a calm lake, you don’t need to worry about injury. #3: It can be as relaxing or intense as you make it! Whether you’re just looking to take in the natural surroundings with a calm cruise through a lake or the bay, or want to test your skills at a more intense level on a rapid-filled river, kayaking offers options for every level. #5: It’s great for the mind and soul! 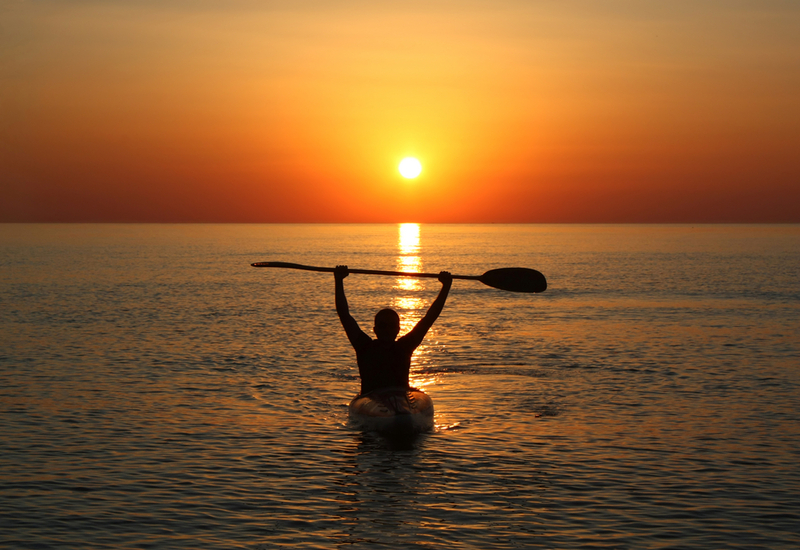 Calm-water kayaking, especially, can be used as a form of meditation. The relaxing tranquility of being surrounded by nature and being one with the water, can completely rejuvenate your mind and spirit. #6: You can head out solo, or make it a group outing! Whether you’re looking for an afternoon to yourself of peace and quiet tranquility, or you want to gather a whole crew to enjoy the day with, kayaking can offer you both. 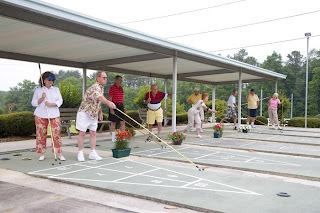 So, there you have it- another great way to stay active and enjoy the good life this summer. If you’ve always thoughts about getting out there and just never “took the plunge,” we encourage you to give it a try! Who knows, kayaking may just be your new found passion in retirement! A New Home can be a Permanent Staycation! A move from an oversized empty nest should provide numerous opportunities to improve your lifestyle. We would guess that most people still want to enjoy their family and friends as they transition from work to retirement. But they would like to do so without some of the stress that comes with maintaining a home that no longer suits today’s needs. Many older homes were built with more rituals and customs in mind that aren’t always followed today. Guests are seldom restricted to the formal areas of our homes any longer. Let’s face it, we all pretty much live and entertain in the kitchen, so why not make it the center of your new home? The “great room” concept isn’t just named that way for the size of the space; it is also the best place to prepare and eat food as well as enjoy your home with others at the same time. A less formal eating area (think a nice kitchen rather than dining room table) next to but separate from an island or bar can free you up from the traditional dining room model. We all seem to be moving away from overly fancy meals (and away from the dining room table) towards more casual and fun food which ties right into the direct from kitchen to table approach of the great room design concept. The casual life of a 55+ buyer has less emphasis and need for a formal living room and separate family room. We can now arrange the living area of the great room to serve both purposes: a family refuge and to entertain guests. Our family and friends can now be around the kitchen and food preparation areas, and also easily migrate to the comfortable seating in the family room, still be near the action. When our homes are designed for the way we live in them today everyday can feel like a vacation and you may never want to leave home again! We would love to hear from our readers! What are you looking for in a new home? What are some of the ideal features that you hope to find? What room configuration would make your lifestyle more accommodating and enjoyable? To see more pictures of this home located in Southern Palms, Ladson, SC click here.